Do A Day to Live Your Life of Abundance! 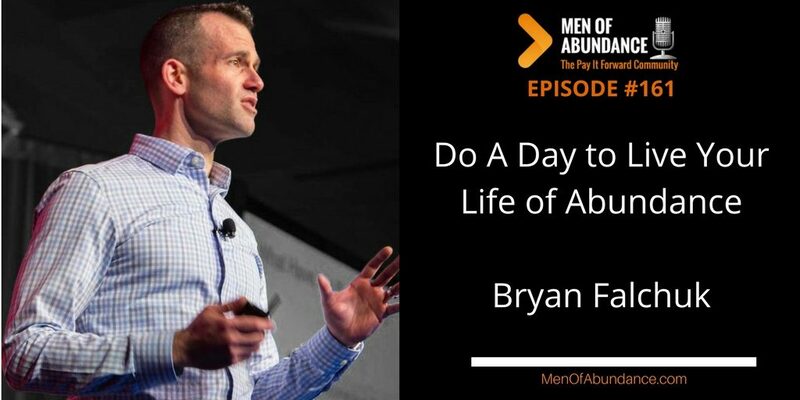 Today, Bryan Falchuk is going to walk you through the importance of Do a Day to reach the goals you’ve set for yourself. Do a Day is a great way to get started with the proper exceptions and not quit before you start seeing and feeling the progress. Are you ready to do a day? Let’s do this. Bryan Falchuk has an amazing story; he went from being obese and depressed to running marathons. He’s faced nearly losing his wife to illness while their young son watched. He became vegan in just one day. 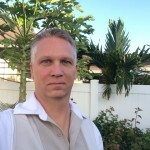 He got his masters from a top school and rose to a senior executive position in a successful business. 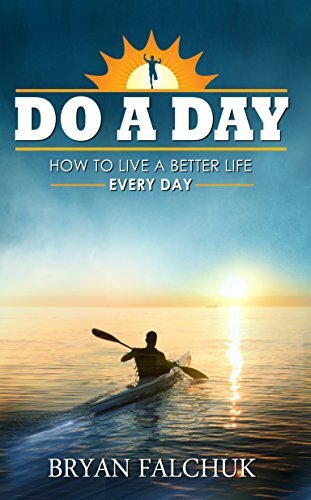 He’s transformed his life and developed an approach to help others do the same that he teaches in his best-selling book “Do a Day”, and he’s here today to share that philosophy with all of you. Five frogs are sitting on a rock. Four decide to jump off. How many frogs are left? All five frogs are left on the rock. Those four simply made a decision. Not one of them took action. It’s easy to make a decision. But taking action, that’s where the improvements start. Do a day sounds simple because it is. And then you do another day. And another, and another. Before you know it, you start noticing progress and improvements. What was once difficult is now easy for you. That’s how do a day works.